interlinked with our careers over the years as well. INFORUM group is a company providing a forum concept to educate, enlighten and expand the knowledge of women in the workplace with a range of captivating speakers who will inspire, entertain and fulfil many of the personal and professional areas of interest in women. be a part of the launch of their new site with a special spring setting. 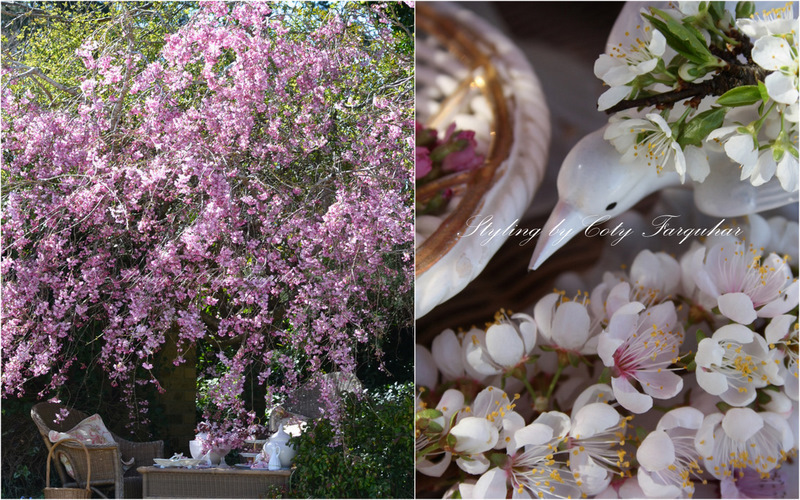 ‘Flowers and table settings are my absolute passion and living in the Southern Highlands of NSW for the last twenty years I think I know just about every single flowering tree here. It’s just like a wonderful fashion parade right now as Spring has arrived with all the grand ‘old’ ladies (trees) bursting with blooms. Our gardens, parks and countryside are blooming with the most wonderful colours and flowers after many months of rain. I can honestly say I love nearly every single flower there is and to work with them as a stylist is a blessing. Lucky are those that celebrate their birthdays at this time of the year as setting a table under or near a blossoming tree is amazing. Seize the moment, set the table and bring out all your lovely pieces, fill everything with cuttings of blossom, sprinkle the petals over the table, gather your loved ones and breathe in the sweet smelling perfumed air under an old blossom tree. I styled this setting for Inforum, a relaxing table for two under this wonderful tree at my parents home in Moss Vale. I'm photographing this afternoon in a wonderful old garden in Burradoo here in the Southern Highlands where the Crab apple trees are bursting. I wish that you where all with me on what is a fantastic warm Spring day. amazingly talented friend Minna at Blomsterverkstad in Sweden. Minna came to our home for lunch a couple of years ago when she was visiting Australia. Spring here, Autumn there - My two very favourite seasons. Coty, this is just absolutely fabulous as always. Stunning is not a great enough word to describe your work. You are the world's best. Those blossoms are just magnificent. Beautiful new business advertising, so elegant. How fun for everyone involved. 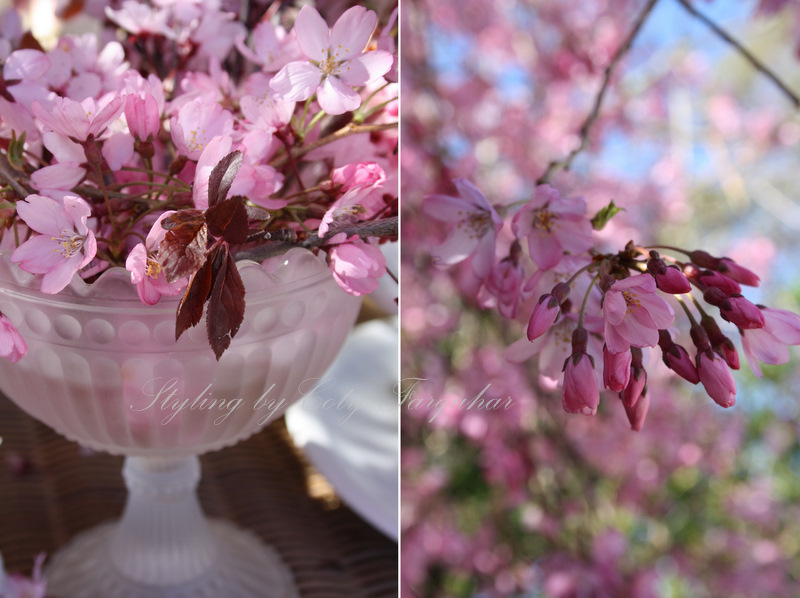 Glad you were able to catch the blossoms so perfectly for the tablesetting. So beautiful and romantic. Just whisks you away. Thank you Swede, Jacqueline and Marlis for dropping by and leaving such beautiful comments. I love getting your notes. Spring MAGIC!!!! This was a fantastic and fantastical setting! You created the perfect spring setting--glorious! Hi Coty. 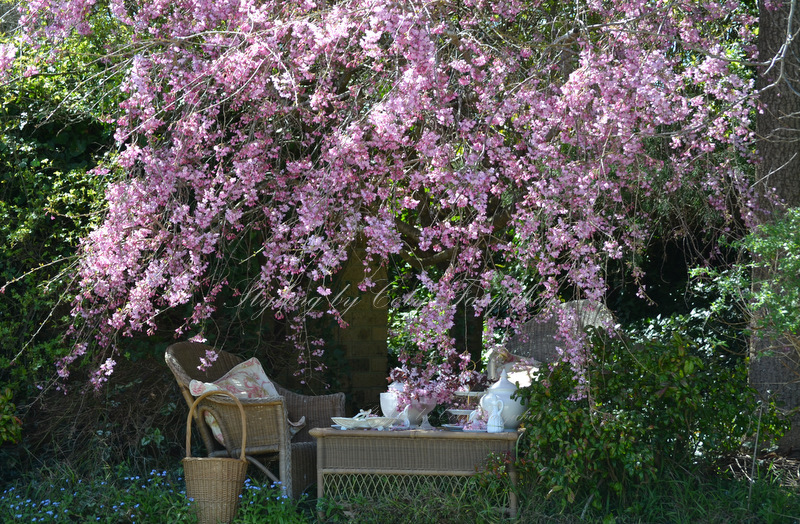 the blossom are heavenly and the table looks so very romantic. Wishing your friends all the best with their new venture. wonderful to see all this talent and such an inspiration to me! Your location for this tablescape is stunning. Thanks for sharing. 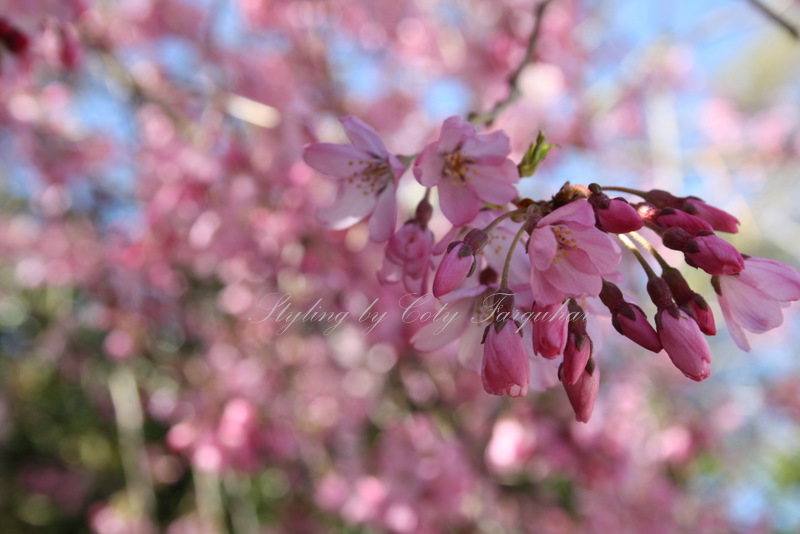 These blossoms and your shots are something else!! so beautiful.. I haven't had a chance to see spring yet and looking forward to it.. 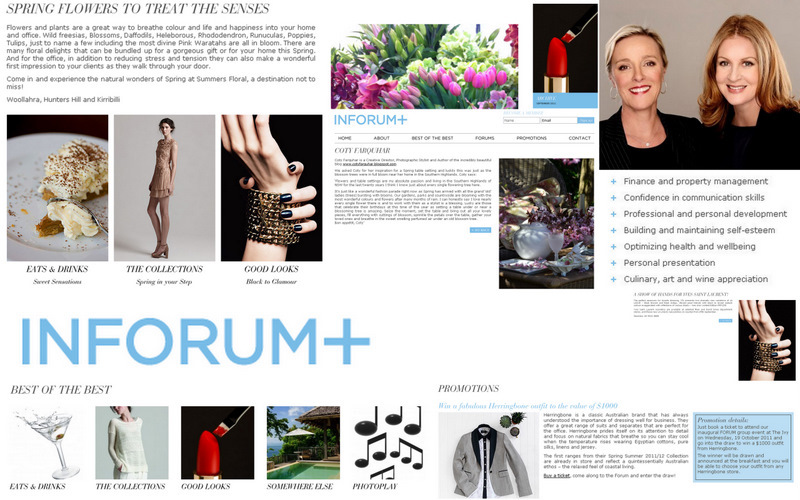 I must check out the INFORUM site too..
How lovely it is to see and enjoy your spring as we head into fall. The photos are fabulous - Happy PS! Happy Pink Saturday, Coty. I am so glad you joined us this week. Congratulations to your friends on their new venture. I wish them joy and success. Your photos are exquisite. No one can surpass your talent for capturing beauty.